PIXMA TS307 combines form and function with breakthrough design. With a flat-top surface that doubles up as a document scan table, anyone with a smartphone can make high quality copies easily. Print borderless photos up to 4R size. 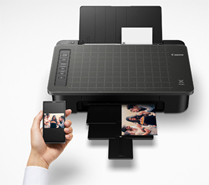 Easy copying of your document or photo with your smartphone via the Canon PRINT Inkjet/SELPHY app. 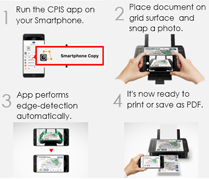 Connect directly to your smartphone easily. Photo (4 x 6"") PP-201 / Borderless: Approx. 65sec. Glossy Photo Paper ""Everyday Use""
Layout 1-up (bordered / borderless*6): 4 x 6""
Layout*9 1-up (bordered*7 / borderless*6): 4 x 6""
Photo Index: LTR, A4, 4 x 6""
Sticker 2 / 4 / 9 / 16-up: 4 x 6""
Print with shooting information: LTR, A4, 4 x 6""
*4 Resolution may be changed between Direct print and printing from PC. *5 Only 'standard' mode available in choosing disk label print. *6 The amount of image extension beyond the paper cannot be adjusted. *7 Plain paper is printed bordered automatically, regardless of the camera settings. *8 Image data taken by DCF (Ver.1.0 / 2.0) - compliant digital cameras, camcorders or camera phones and recorded in JPEG (Exif-compliant) format. *9 Function depends on the connected digital cameras, camcorders or camera phones. *10 Only 'high' mode available as for the printer without LCD. *11 Only 'high' mode available in choosing sticker print. *12 The performance of the printer may be reduced under certain temperature and humidity conditions. *13 For the temperature and humidity conditions of papers such as photo paper, refer to the paper's packaging or the supplied instructions. *14 When printing ISO / JIS-SCID N2 on 4 x 6"" Photo Paper Plus Glossy II using default settings. *15 Print: When printing ISO / JIS-SCID N2 (printed by inkjet printer) on A4 size plain paper using default settings. *16 1-11 in US, CND, LTN, BRA, TW and HK. You need to install the ink cartridges of all colours whether you perform black and white printing or colour printing. If any one of the ink tanks or ink cartridges is not installed, an error occurs and you cannot perform printing. Depending on the paper or the print settings, the colour ink may be consumed even when you print a document in black or perform printing in black and white. When any one of the colours of ink has run out, you need to replace the ink cartridge. When you use the Canon printer for the first time after you install the bundled ink cartridges, the printer consumes a small amount of ink in the amount to enable printing by filling the nozzles of the print head with ink. For this reason, the number of sheets that can be printed with the first ink tanks is fewer than the succeeding ink cartridges. The printing costs described in the brochures or websites are based on the consumption data from not the first ink cartridge but the succeeding ink cartridge. The warranty term for details, contact a Canon-authorized sales representative in the country or region you live in. The following functions are available only on printers that use genuine Canon ink for all colours and support these functions. For supported functions, see the product specifications section for each model. 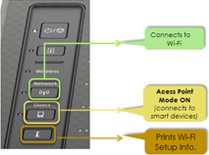 Depending on your terminal, such as a computer or a smartphone, or the operating system of your terminal, such as your computer or smartphone, the estimated ink level information or message displayed on the screen of your terminal may be different from the information or message displayed on the operation panel of the printer. Also, a part of the estimated ink level message displayed on the operation panel of the printer may not be displayed and / or may be displayed at a different point in time. Canon recommends that you use the information and message displayed on the operation panel of the printer as your reference. Note, however, that such information and messages are displayed items serve only as a guideline information.